Our service lets you use your Internet connection to make phone calls locally, and around the world. Just plug one of our phones into your internet line, or install our app onto your cell phone, you will be immediately connected and ready to make your phone call. 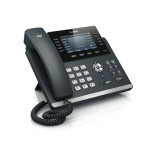 These devices communicate with the cloud based FFB VoIP system for secure voice, fax, text messaging and audio conferencing. It’s that simple – for all of your office locations anywhere in the world. Moving your business phone system to the cloud is simple and straight forward. Setup is fast and an FFB Services implementation specialist with assist with with every step to ensure a smooth transition for all your office locations and remote workers. Our VoIP solution is highly flexible. You can manage multiple locations and mobile workers with one cloud based system and receive one convenient easy to understand monthly bill. You can manage your entire cloud based phone system from your desktop computer for all users across all office locations. It’s an integrated solution, all managed through the cloud. You have control and there’s no need to tie up IT resources, schedule expensive visits from a contractor or phone company technician. If you ever have questions or need help an FFB representative will be here to assist you at no extra cost. Best of all, your users can manage most of their own settings right from their own desktop. Saving you time. We provide a wide range of numbers for your office, from local, toll free or international locations. You can establish your business in choice areas with a local number or transfer valuable existing numbers. Our solutions make it easy for your customers to reach you.